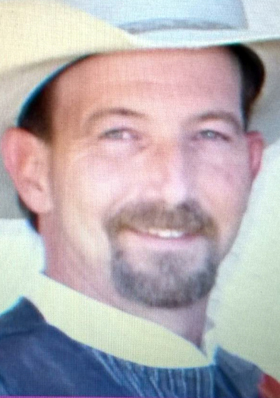 Graveside services are scheduled for 2 p.m. Tuesday, Sept. 8, at Woodbine Cemetery for Michael Todd Evans of Artesia. Evans, 47, passed away Tuesday, Sept. 1, 2015, at his home. Ricky Ellis will officiate at the services. Pallbearers will be Kendale Hendrix, Seth Wilson, Mikey Crouch, Casey Ellis, Rick Bettencourt and Albert Johnson. Honorary pallbearers are Steve Lasiter and Willie T.
Evans was born July 13, 1968, in Ft. Worth, Texas, the son of Lawson Ray Evans and Brenda (Ison) Evans. He was a lifelong resident of Artesia. Survivors include his mother, Brenda Evans, of Artesia; uncle Mike Ison of Lubbock, Texas; niece Stacey Reid of Lubbock; nephew Joel Ison of Waco, Texas; and cousins Ronald Harrison, Ricky Harrison and Rhonda Harrison. He was preceded in death by his father, Lawson Ray Evans.